My obsession with Argan Oil is well documented, especially amongst my friends and family. My boyfriend, in particular, is convinced I’m going to slide out of the door one of these days with all of the oils that I apply. My obsession began in a trip to Morocco a few years ago when I was invited by Visit Morocco on a tour of Agadir with a few others writers to check out the country. 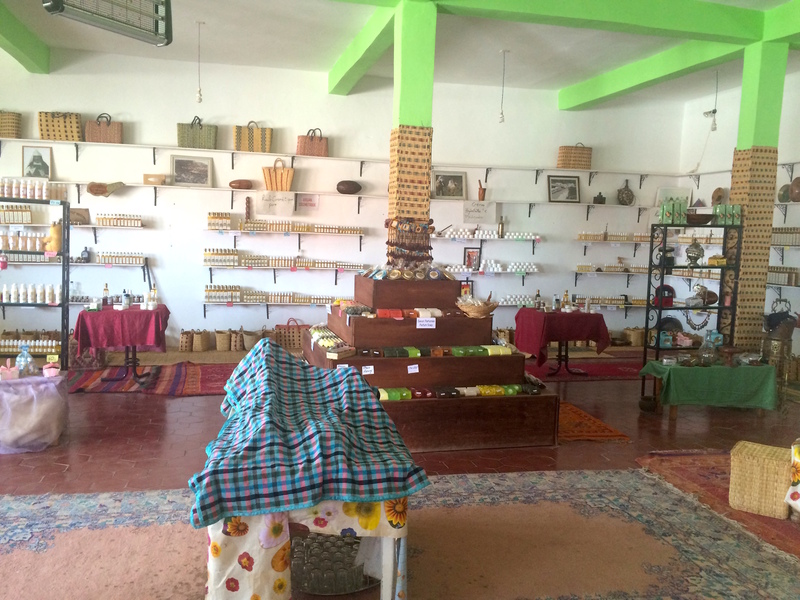 At the time, we visited an Argan oil cooperative and I became obsessed with the stuff. I even wrote a piece about it for GoNomad. So when I returned to Morocco with my mum a few months ago, I knew exactly what I wanted to do with her – visit a cooperative. This time we were in Marrakesh, but on an amazing day trip to Essaouira, we asked our driver to stop off somewhere along the way. 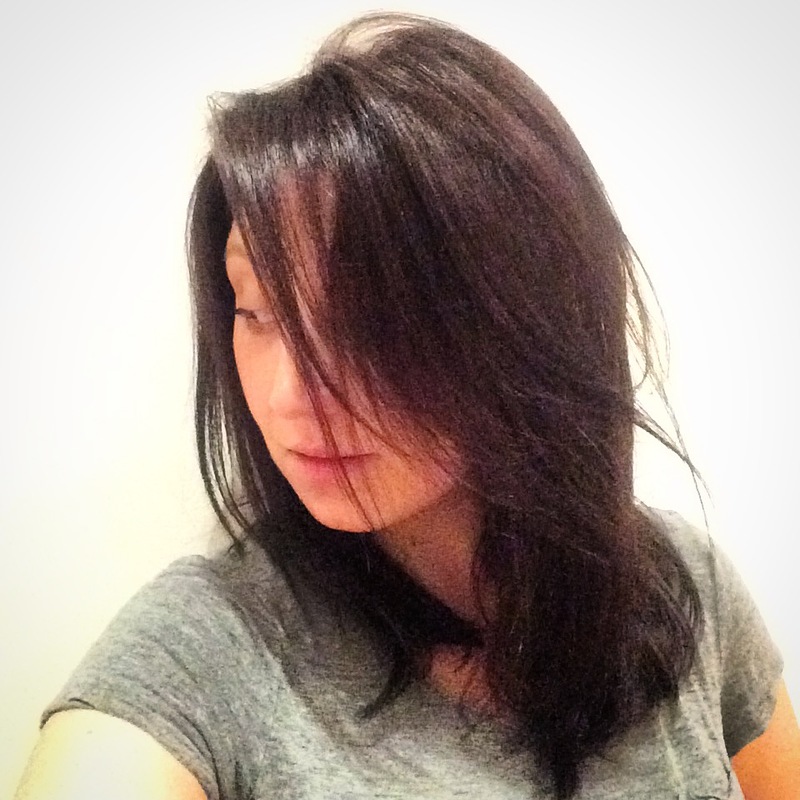 He knew exactly where to take us: Cooperative Marjana and we were thrilled with the choice. 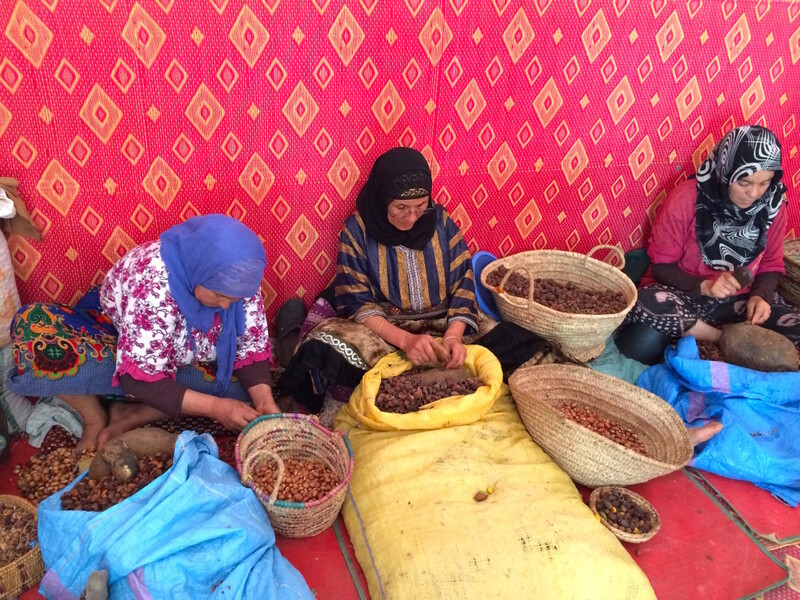 First up, we were met from the car by a lovely young woman who took us to see an argan tree, so that we could see what the argan fruit looks like before it is picked. 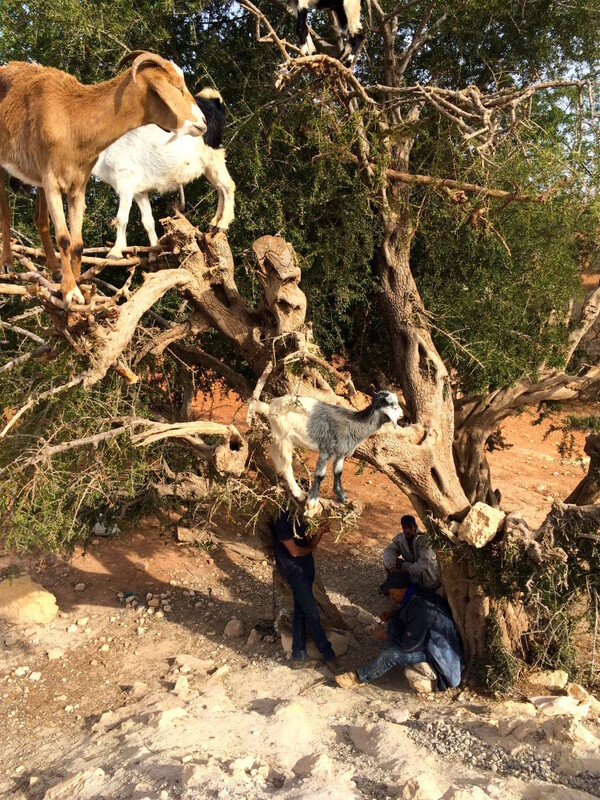 We had passed some goats in an argan tree with some Berber shepherds on the way. I loved being able to show my mum that. 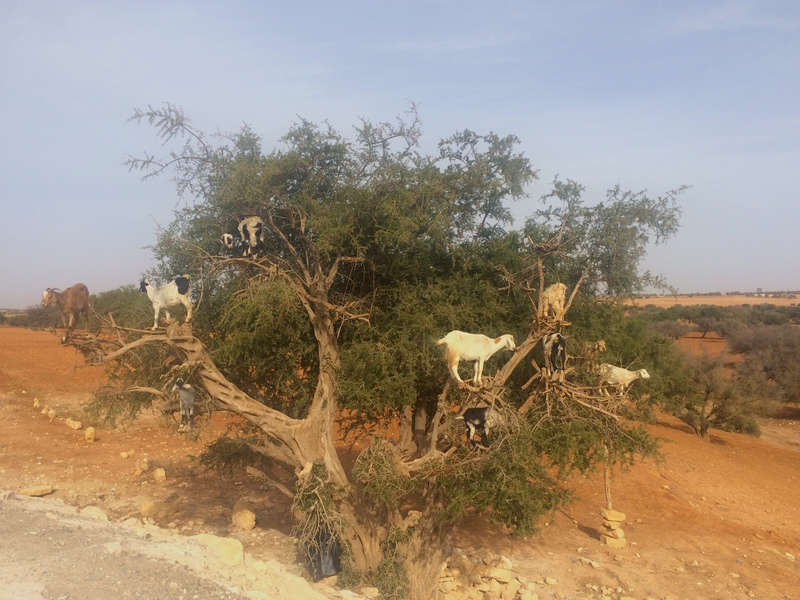 It’s such an odd sight to see – a herd of goats just hanging out of a tree. It makes a lot of sense though, because where else can they find food in a desert landscape?! 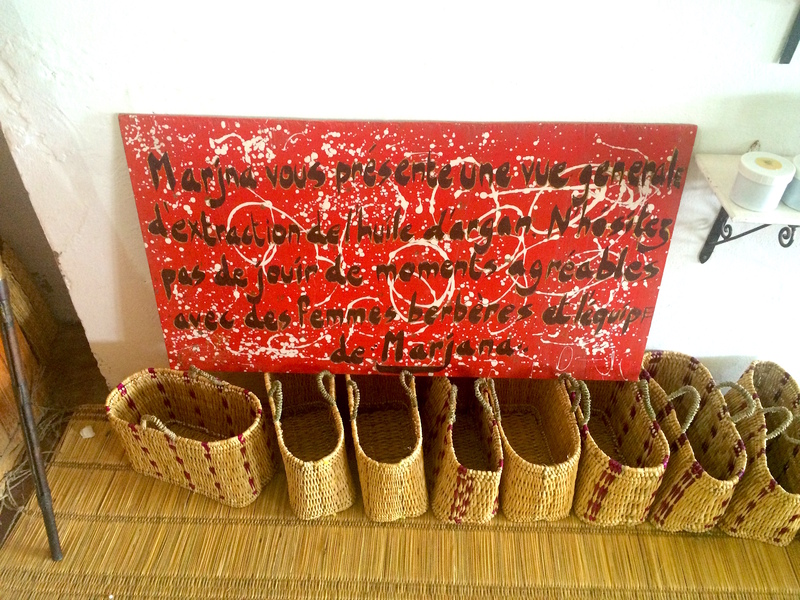 Cooperative Marjana employs women in the area. It is was created as part of the national programme to improve the socioeconomic development of rural women. Our guide told us that the majority of the women were divorced and looking for a way to support their families. Some even lived on site. We loved that message of empowering women. 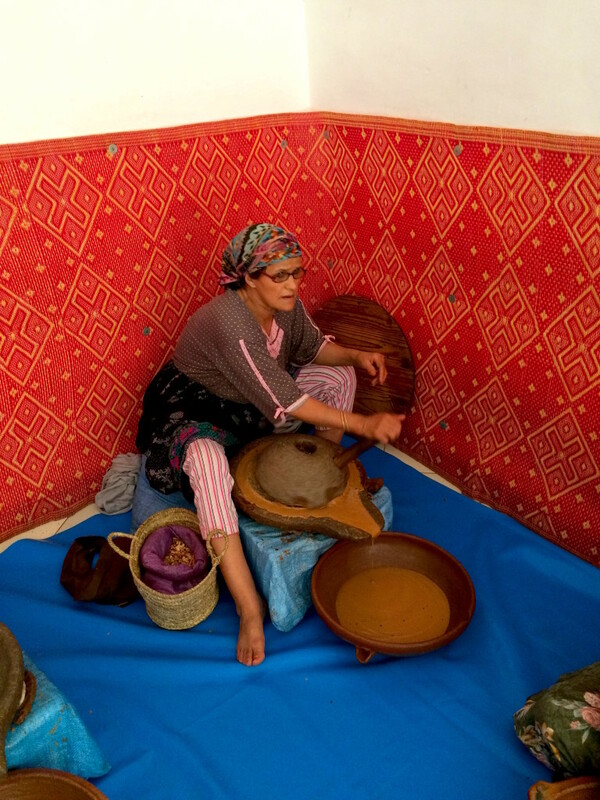 Our next port of call was a showroom where the women exhibited the various processes that it takes to create organ oil – both for beauty and for cooking. It was really interesting to see and we got to interact a little with the women which was really lovely. Final stop is of course the gift shop, but seeing as that was definitely part of the reason that we were there, we didn’t feel under pressure to buy. Our guide showed us all of the products and explained their uses and then left us to shop for a few minutes. 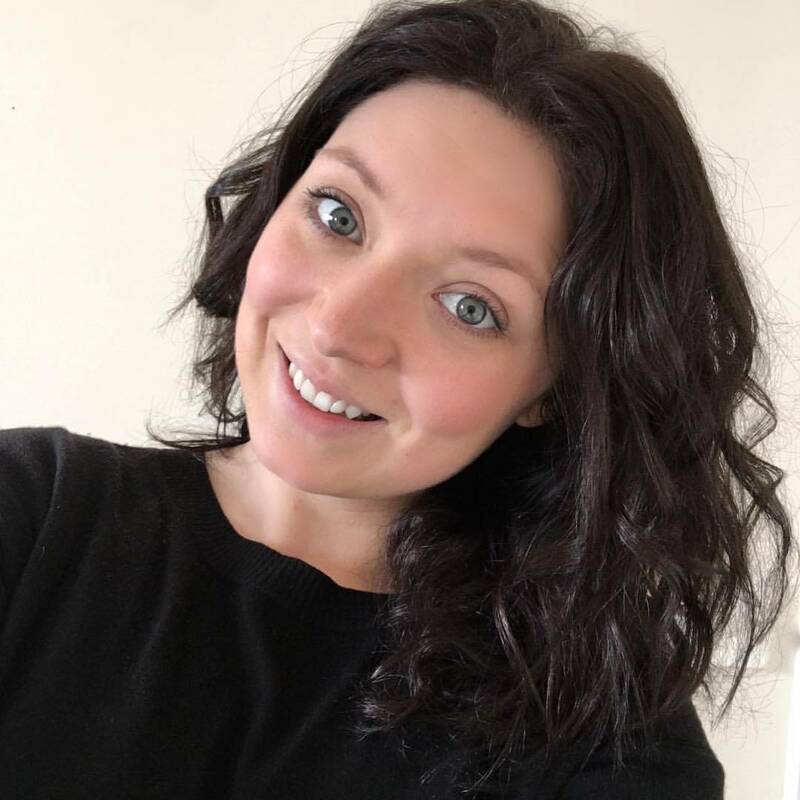 I chose a big bottle of cosmetic argan oil and some Amlou Beldi – a yummy argan, honey & almond spread that I thought would make a nice, sweet alternative to nut butter at home. My mum bought some scented argan for her face, some Amlou Beldi for my brother and we both bought a pot of this amazing clay face mask scented with fleur d’oranger. I love using it at home now as it reminds me of being in moroccan spa. It’s a great way to chill out at the end of the week.